Welcome to Grapevine Physical Therapy & Sports Medicine's patient resource about from foot injuries and surgery. 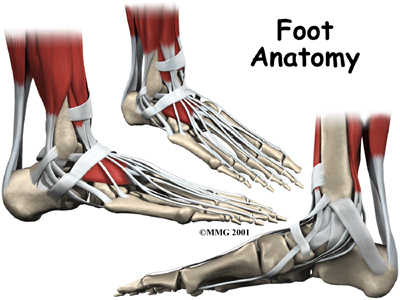 The following is an article on foot anatomy. 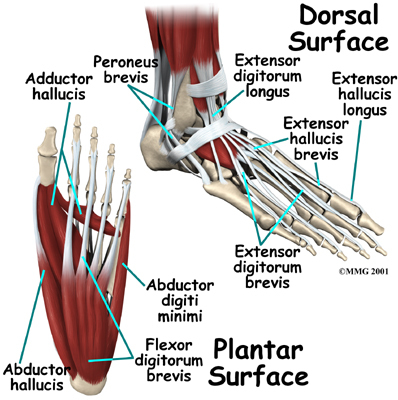 Please see the left hand menu for specific information on ankle injuries. 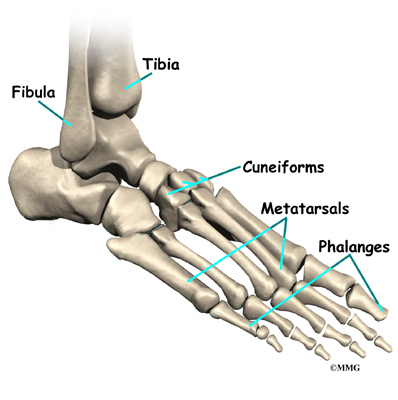 The two bones that make up the back part of the foot (sometimes referred to as the hindfoot) are the talus and the calcaneus, or heelbone. 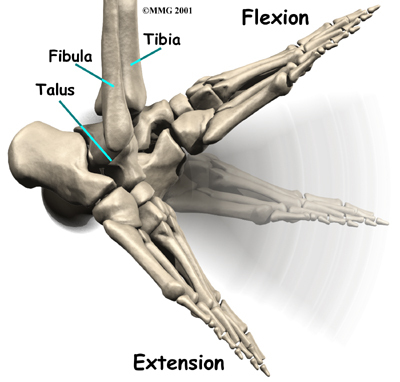 The talus is connected to the calcaneus at the subtalar joint. 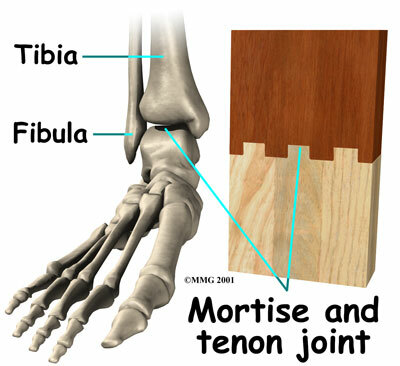 The ankle joint allows the foot to bend up and down. 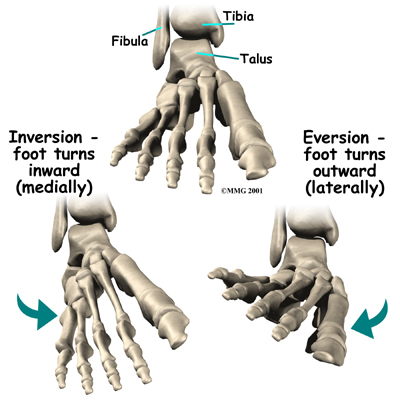 The subtalar joint allows the foot to rock from side to side. 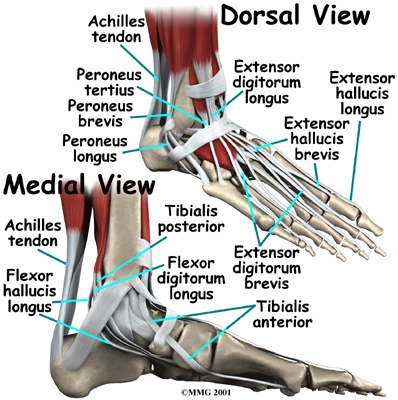 The main nerve to the foot, the tibial nerve, enters the sole of the foot by running behind the inside bump on the ankle, the medial malleolus. 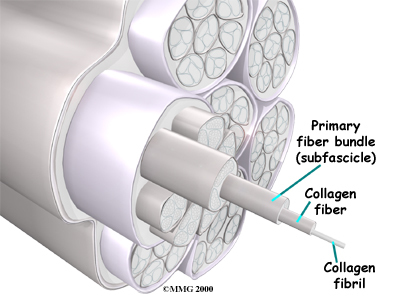 This nerve supplies sensation to the toes and sole of the foot and controls the muscles of the sole of the foot. 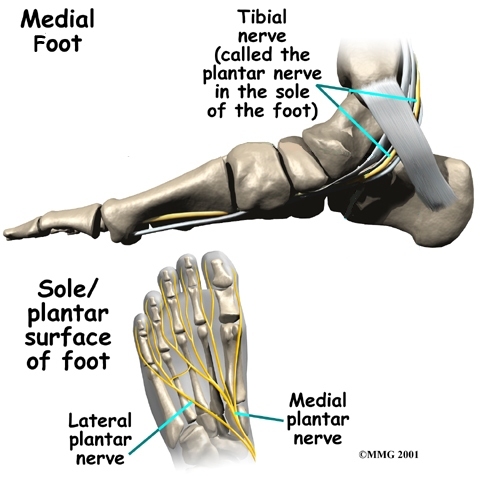 Several other nerves run into the foot on the outside of the foot and down the top of the foot. 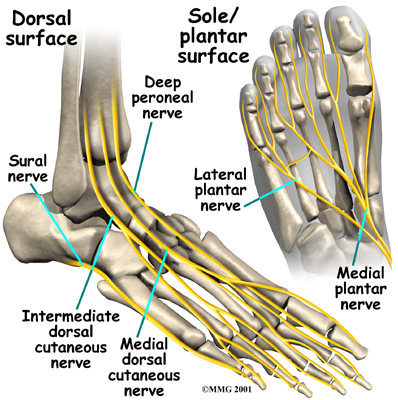 These nerves primarily provide sensation to different areas on the top and outside edge of the foot. 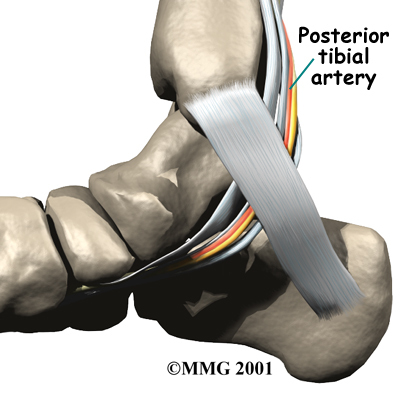 The main blood supply to the foot, the posterior tibial artery, runs right beside the nerve of the same name. Other less important arteries enter the foot from other directions. 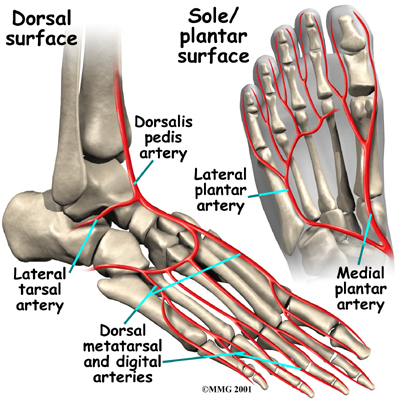 One of these arteries is the dorsalis pedis that runs down the top of the foot. You can feel your pulse where this artery runs in the middle of the top of the foot.